This executive training program for Republican women was first initiated in 1989 by a handful of Indiana businesswomen looking for a way to increase the number of Republican women involved in the political process. They were concerned that women were not represented in elected and appointed offices at the local, state and federal levels. Judy Singleton and Teresa Lubbers turned toIndiana’s most trusted public official, United States Senator Richard G. Lugar, to help them create the new program. The result was the Richard G. Lugar Excellence in Public Service Series. Since its inception, the program has been replicated in over 20 states, including Illinois, New Jersey, Ohio, Pennsylvania andCalifornia. Hundreds of Republican women have been trained through the Excellence in Public Service Series since 1990 and have been inspired and prepared to seek appointed and/or elected office, or to secure employment in a political capacity. Participants credit the program for their success in the world of government, policy and politics. In November 2014, Mimi Walters was elected to serve in the U.S. House of Representatives. She currently represents the 37th District of California in the State Senate. She was overwhelmingly elected to the Assembly in 2004, re-elected in 2006, elected to the State Senate in 2008 and re-elected under new district lines in 2012. 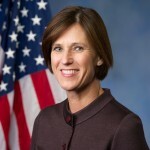 Mimi Walters possesses a background in business, finance and local government. 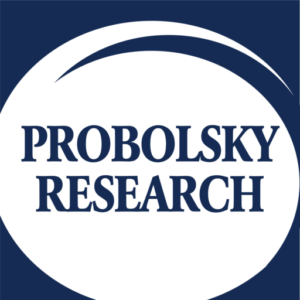 Her professional career has included serving as an investment executive for seven years at a major investment banking firm. Mimi began her public service at the local level, as a member of the Laguna Niguel City Council in 1996. She served as Mayor in 2000. As a Councilwoman, Mimi was a leading voice for fiscally responsible government and local control. 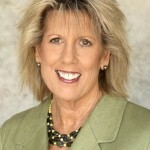 She is past Chair of the Laguna Niguel Investment, Banking & Audit Committee. A champion for lower taxes, less intrusive government, fiscal responsibility and property rights, Senator Walters has been active in conservative causes for many years. A graduate of the University of California at Los Angeles, Mimi and her husband, David, live in Orange County with their four children. “For over 25 years my personal passion has been promoting women within the Republican Party. With my many relationships with Republican Women within my firm, Kate Keena Public Affairs, we realized a definite need for training programs. In1995 I became one of the eight founders of the California Women’s Leadership Association (CWLA). Next, I became Mimi Walters for Laguna Niguel City Council Campaign Manager and as a result she when onto win the State Assembly, the State Senate and is now the Congresswoman- elect in the 45th District. What an honor to work with her. During that time we established the Marian Bergeson Excellence in Public Series in 2004. Our one and only thought to lead this Series was Senator Bergeson because of her distinguished career in Republicans politics but more importantly her willingness to always serve as a mentor to those women who wanted to enter the political arena: either run for office, seek an appointed office or work behind the scenes. Senator Bergeson was a tremendous mentor to Mimi over the years as she was too many others as well. Affairs/Public Relation taking on special projects to advance specific causes. Her career has involved many infrastructure projects such as transportation and water and other municipal interests. In these capacities she was highly successful in creating awareness, understanding and education of complex technical issues on the local, regional and national level, building coalitions, developing strategies and persuasively communicating client messages to a variety of audiences. Lindi L. Harvey has served as a business executive and consultant in private sector, government, nonprofit and NGOs developing comprehensive strategies, policies and programs; alliance and stakeholder management; and, effective communication outreach efforts for significant and substantial impact in achieving the goals and mission of each organization. She has held several senior-level positions in the federal government as a appointee in the George W. Bush Presidential Administration to include the Office of Global Women’s Issues for the U.S. Department of State, the U.S. National Park Service for the U.S. Department of the Interior and the National Women’s Business Council for the U.S. Small Business Administration. Lindi’s responsibilities at State Department included managing and conducting diplomatic initiatives that included training programs on entrepreneurship and leadership skills directed to widen women’s economic, educational, civil society and community engagement opportunities. 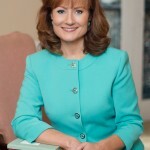 Her private-sector career includes serving as Senior Vice President/Managing Director for the Geneva Capital Strategies Division of Citigroup, where she specialized in mergers and acquisitions, succession planning, business growth and product expansion strategies addressing marketplace conditions for privately held entrepreneurial companies. Lindi is a committed volunteer focusing on women and youth leadership development, health care, public policy advocacy and civic engagement having a long history of political involvement at all levels of government and in political campaigns.